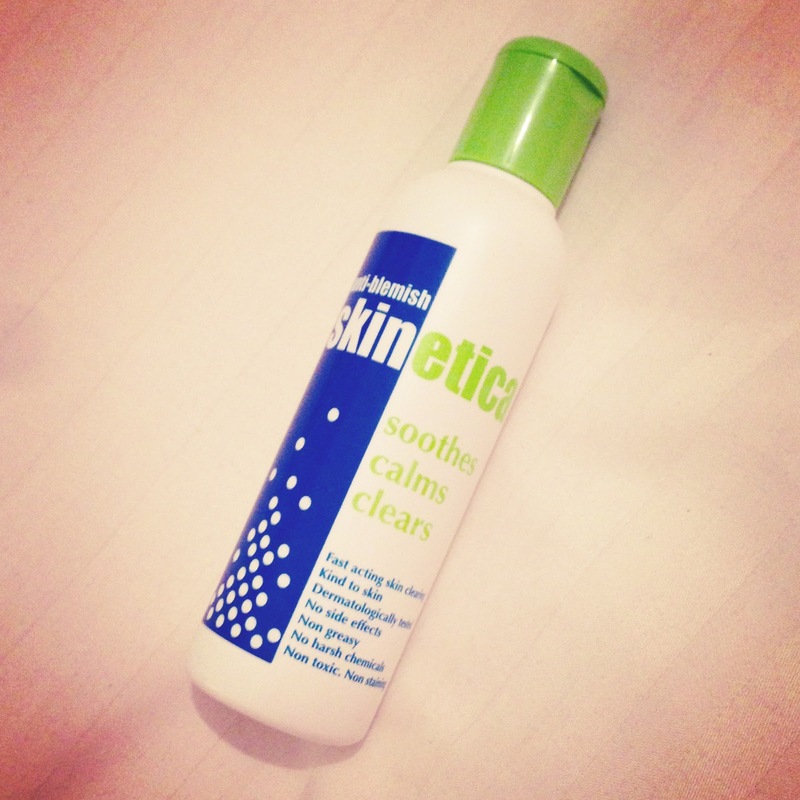 I was sent this skinetica sample a few weeks ago and have been trying it intermittently since then. I wanted to give you a full review of it rather than trying it for a day and reporting back to you with unsure results. The product is for acne, spots or blemishes and preaches its fast acting formula can soothe and clear these problems. I do not have very spot prone skin, often only having one or two spots now and again which sometimes scar and leave blemishes. I hoped this product might clear those up and started to apply it day and night as it suggests, dabbing the watery liquid onto a cotton bud and then onto each spot or blemish. I did this for around 4 days, as the product mentioned that it can clear your skin in 2-3. It didn’t entirely clear my skin in 2-3 days, but after 4 there did seems to be a difference in my blemishes. One spot that I could see was starting to appear was completely gone after a few days and never reared its ugly head. The other blemishes on my face appeared less red and one seems to be almost gone. The solution is literally like water with quite an odd scent. Not the best smelling product, but when it is on your face it cannot be noticed. I would rather it smell like chemicals and work rather than smell perfumed and not do the job it was meant to. So overall, yes I would recommend this product and I think if you skin is much more affected by spots or acne, this could actually work wonders for you. Ill actually be quite gutted when this runs out and I think I will definitely buy another, just to have in for emergencies. One thing I will say though is that I hate the packaging, it looks medicinal and cheap – but the product inside really doesn’t reflect this. This is definitely one to try.